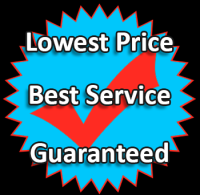 We will match any competitors pricing on a comparable package. Please note that in order for us to be able to process your Bylaws, Minutes, EIN, Sellers Permit, and File your Statement of Information for you, we will need you to please fill out an application. You can do this by clicking on this link . Or, you can download this application , and email it back. We can also email this to you in PDF or text format. Please let us know if you have any questions.